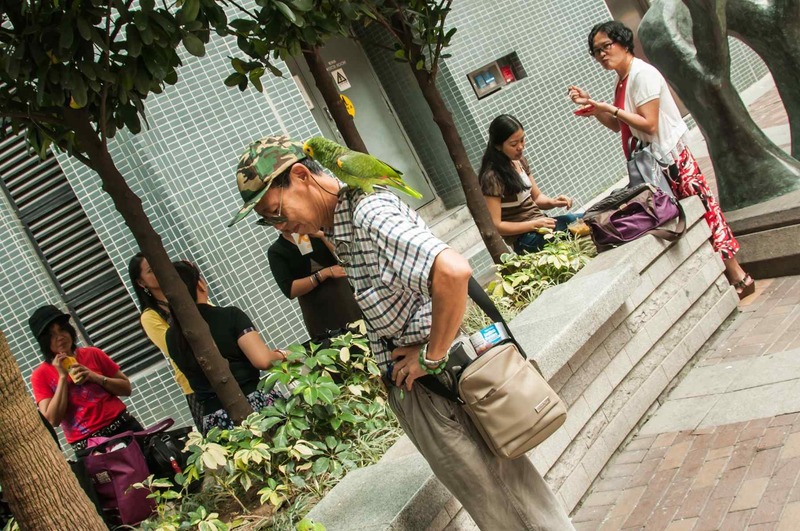 A parrot’s life in Hong Kong can’t be that bad if he gets to go out with his master… at least that is what this parrot seemed to say. He was sitting on the shoulder of his owner and kept chatting to himself (the parrot, not the man) and bouncing up and down. 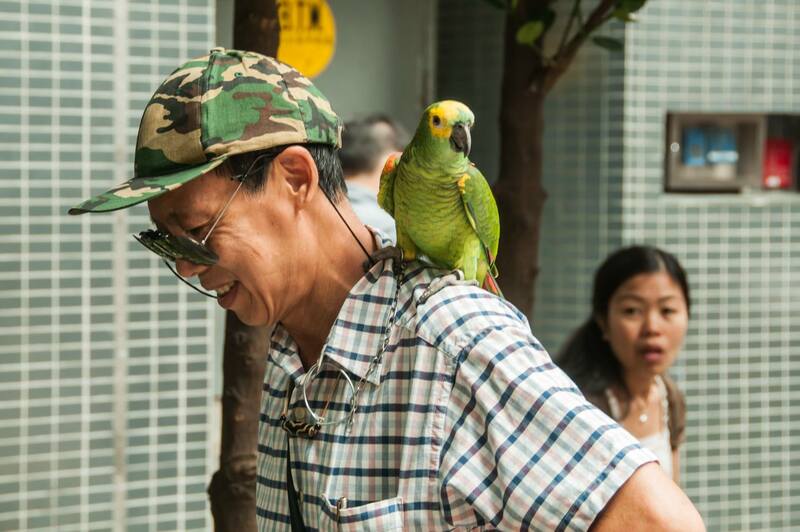 His owner walked around with the parrot on his shoulder, through the streets in Sheung Wan, and a few of the people seemed to know and greet the two of them. The parrot kept saying ‘hello’ but all the other words I could not understand, they must have been Chinese. His owner fed him a few sunflower seeds and just smiled at us – clearly it was a normal Sunday noon for them!